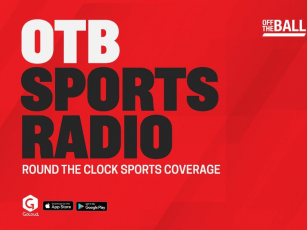 USADA CEO Travis Tygart sat down with OTB AM for an in depth discussion about modern anti-doping controls. “There was no intentional cheating,” he told Off The Ball. UFC 232 was moved from Las Vegas to LA after a trace amount of a banned substance which the MMA star had previously severed a ban for was found in his system. Authorities in Nevada did not have time to investigate the finding, which meant they could not sanction the fight. The bout eventually took place in the The Forum in Inglewood, California. Jones was crowned UFC Light Heavyweight Champion after defeating Alexander Gustafsson at the event. “The evidence was clear, all the scientific opinion that was presented to the independent arbitrator was clear - there was no intent to dope,” Tygart continued. The drugs in Jones system are believed to be remnants of the turinabol which he failed a drug test for in 2017. USADA does not believe that the failed test has the result of a separate ingestion of the banned substance. "Jones got 15 months because the evidence, the negative test before, the negative test immediately after, showed that there was no way he took an intentional dose to enhance his performance. The test result would have been much higher than the test result which was bookended by a negative and a positive test." He said that Jones hydration levels contributed to the conflicting test results: "He tested positive the day before and negative that day because of his specific gravity (the amount of water in his system during his weight cut)." "We are here to fairly enforce the rules, but we’re not going to ‘hang a guy up’ just because of a contamination, or an inadvertent positive," the USADA official continued. "We’re going to throw the book, where we have authority, at intentional cheats. But we are also going to be fair and just to people who have positive tests that are not indicative (of intentional cheating), and demonstrate that they were not intentionally cheating. I think that’s the essence of a fair system." Tygart also discussed the possibility of lance Armstrong plying a role in the fight against doping in sport, the fallout from Russia's Olympic cheating, and much more.